California Bankruptcy Exemptions are to protect your assets. Filing for bankruptcy protection does not mean individuals are not allowed to keep assets. California has two sets of exemptions that provide for the opportunity to protect assets based on the individual circumstance of the debtor. In the hands of an experienced bankruptcy attorney, the exemptions can be used to maximize and allow individuals to keep all their property. Bankruptcy Homestead Exemption available for Chapter 7 or 13. The homestead exemption is available under both chapter 7 or 13 and allows individuals to protect their house under the bankruptcy code. It can only apply to your current residence. It does not apply to income property unless you are living at that property as well. Your house is protected the most under California bankruptcy exemption section 704 where you can protect $75,000 to $175,000 in equity in your home depending on your circumstance. There also exist homestead protection under California bankruptcy exemptions section 703. Which is best for you? Below you will find the table of exemptions and the amounts of equity that is protected under each exemption set. Be careful of the cautions listed here. Research the information you need about exemptions below. If you need more help, we are here to help and to advise. We can structure your bankruptcy to protect all your assets. 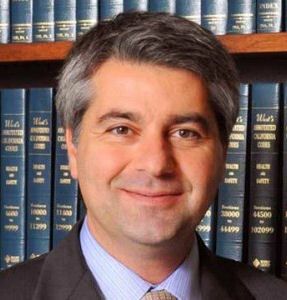 California Bankruptcy Exemptions provide for two different options. California allows debtors two set of exemptions. However, they must chose under which set of exemption they wish to protect their assets. Different exemptions from different sections may not be taken. Debtors must chose either the 703 exemption of the 704. Caution!! There can be no mingling of exemptions. California Bankruptcy Exemptions section 703. California bankruptcy exemptions under section 703 are designed for none home owners or owners who do not have much equity in their house. Section 703 exemptions allow for individuals to keep approximately $35.000.00 in different assets. So long as the total of all assets, excluding retirement account, are less that $35,000.00 the debtor will keep all their property. However you must still structure the exemptions in the proper categories to ensure your assets are protected. The full table of exemptions under 703 is listed below. California Bankruptcy Exemptions section 704. California bankruptcy exemptions under section 704 are designed to protect home owners equity in their house. Given the age, income and marital status of the debtor, individuals may protect up to $175,000.00 in equity in their home. However, 704 makes difficult to protect other assets, particularly vehicles and tax refunds. The full table of exemptions under 704 is listed below. Caution!!! No Canceling of Chapter 7 Bankruptcy. Once a bankruptcy is filed, all assets becomes the property of the estate. 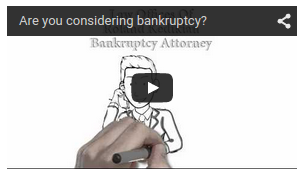 Individuals who file for chapter 7 bankruptcy can not withdraw their bankruptcy petition. They can not dismiss their bankruptcy without a motion to the court explaining how they will be paying back their creditors. All assets that are not properly protected will not be saved and will be liquidated by the trustee. We can make sure all your assets are protected. You do not need to guess. Call us at 818-409-8911 to schedule a Free No obligation consultation. With our very affordable fees you can eliminate the guessing and protect all your assets. Caution !!! Improperly claimed exemptions under Chapter 13 can increase your monthly payments. (values adjusted periodically and may not reflect full amount of exemptions available).